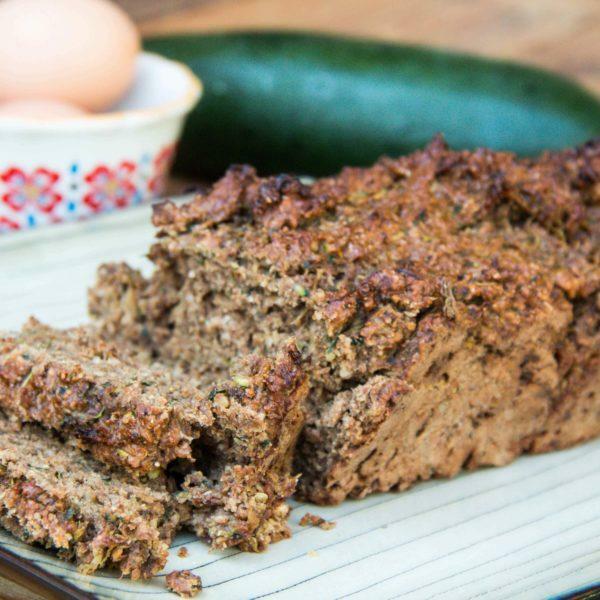 Zucchini bread is so easy to make and it comes out delicious each time! The zucchini actually makes the bread even more moist and delicious. As with most of my recipes, I aim to create recipes full of fiber and healthy goodness, while reducing how much added-sugar is in a recipe. I am always doing recipe development with the goal of reducing or eliminating added sugar in recipes. When I first wanted to make a zucchini bread recipe, I was a bit horrified by how much sugar was added to all the recipes. My kids don’t get a lot of dessert type of foods, so they are happy to eat anything that resembles treat food, even if it doesn’t have any added sugar. I normally try to sweeten the food with a banana, figs or dates. Every day, I see recipes on Pinterest that tout they have no added sugar, but use an artificial sweetener or Stevia to sweeten the dish. There has only been one study on Stevia has been found to increase insulin sensitivity in rodent models, which is what we don’t want to happen. You can read more about the study. I was a sugar addict until about six months ago. I disliked everything tart! 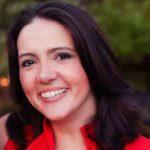 Once I kicked the sugar habit, my taste for foods changed drastically. Find out how much sugar kids are having in a day. Here are more tips on how to reduce how much sugar your kids are eating. As you can see, my daughter was a big fan! 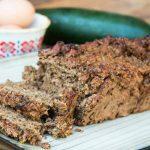 Zucchini bread is so easy to make and it comes out delicious each time! The zucchini actually makes the bread even more moist and delicious. As with most of my recipes, I aim to create recipes full of fiber and healthy goodness, while reducing how much added-sugar is in a recipe. Previous articleShould Kids be Drinking Gatorade and Other Sports Drinks? Next article20 Fun and Classic Birthday Party Games for Kids. They’ll Have a Blast!